Driftwood is a 1-bedroomed cottage sleeping up to 2 persons, an ideal retreat for couples. We completely refurbished the cottage to a very high standard but in a traditional style, combining modern luxuries with period details and features. It is situated alongside Blythe Cottage in an attractive raised terrace accessed by 8 slate steps from the road below, which sits on the edge of the riverbank. 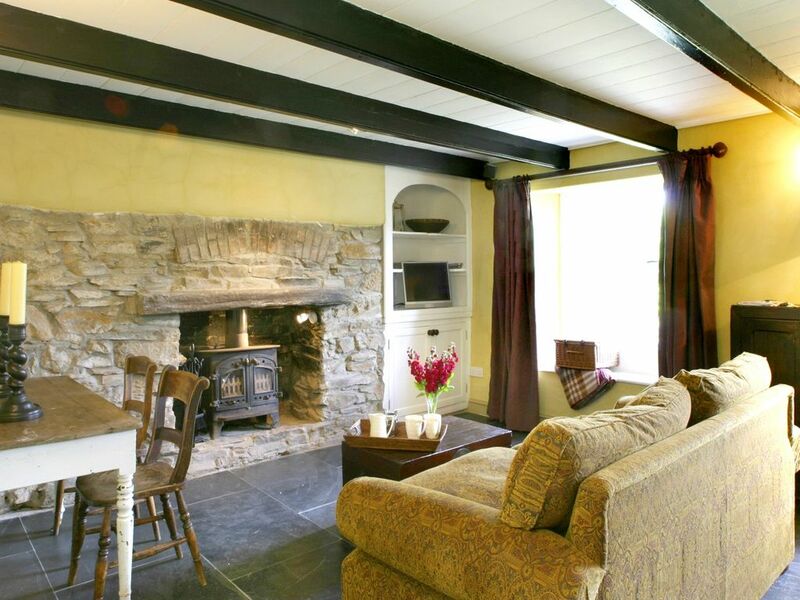 The cottage is interior designed with Mulberry fabrics throughout, complimented by Farrow and Ball wall colourings. Furnishings throughout the cottage are traditional in style, with many antique pieces. The front garden has a terrace and lawn area, and is ideal for al-fresco dining and barbequing. Or just relaxing with a cup of coffee or glass of wine watching the ebb and flow of the tide. Beautiful period cottage in lovely surroundings. This is a lovely period cottage in Malpas on the outskirts of Truro. It is very quiet and at night it is totally silent. It is ideal for a romantic getaway with a cosy wood burner and wonderful views from the front overlooking the river. The cottage has been refurbished with all the mod cons you would wish but still retains a quaint rustic charm. Highly recommended. Driftwood was the perfect base from which to explore Cornwall. A cosy little cottage, ideal for two people to cuddle up by the fire in, but also within easy striking distance of most of Cornwall’s sights (if you have a car). Probably the best thing about Driftwood though: that view! The sunrise over the estuary is worth making the trip for all on its own.